Download our program, a printable pdf.  If you would like to view our UC Water @ AGU calendar as a separate webpage. If you would like all of UC Water's talks and posters in your own personal calendar, download our UC Water @ AGU calendar. 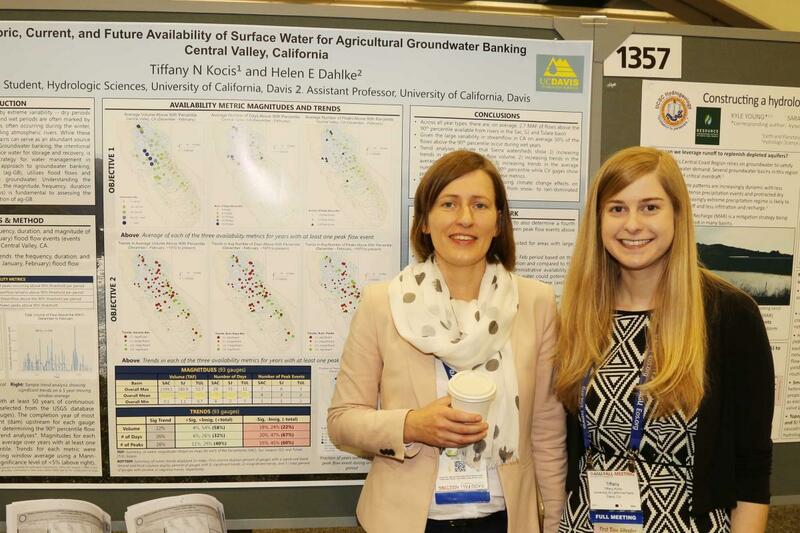 If you would like an excel spreadsheet of all of UC Water's presentations and posters, download the excel file. 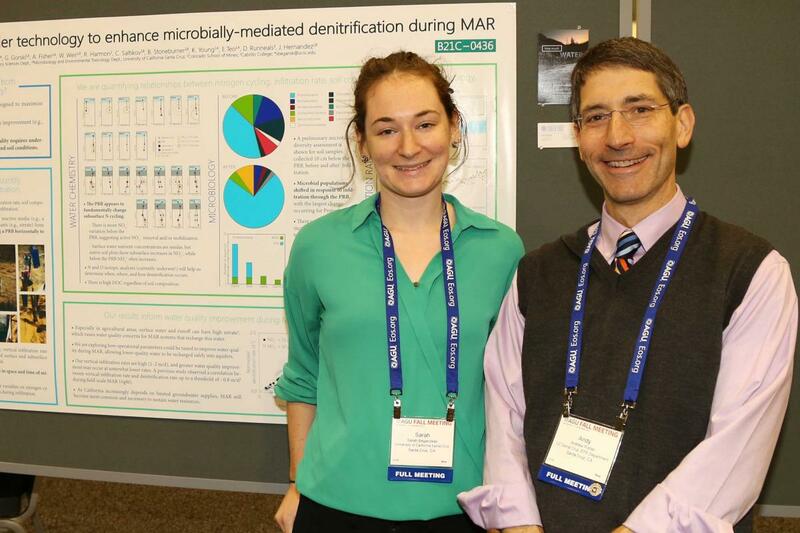 We have a short program for the UC Water @ AGU reception, featuring recent graduates, Dr. Katie Markovich and Dr. Sarah Beganskas, now in their post-doctoral fellowships at new universities. For more information, see details here. recharge with PhD Advisor, Dr. Fisher.